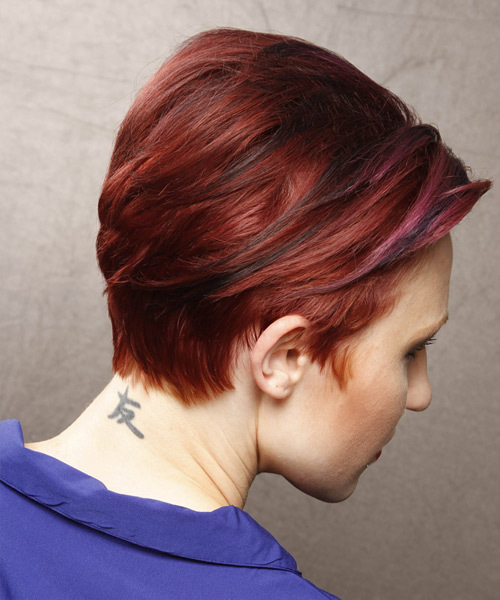 The back of this red mane is tapered into the nape while the sides and top are swept back casually for a low-fuss look and feel. This is a great look for those with fine to medium hair wanting a style that takes little time and product to style. Regular trims is needed every 4-6 weeks.